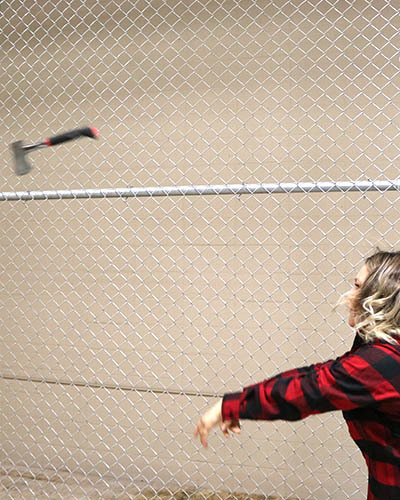 Our axe coaches provide training, coaching and supervise during matches, but if you’re curious or like to come prepared, here is a guide on how to throw an axe that you can use for your axe throwing session! 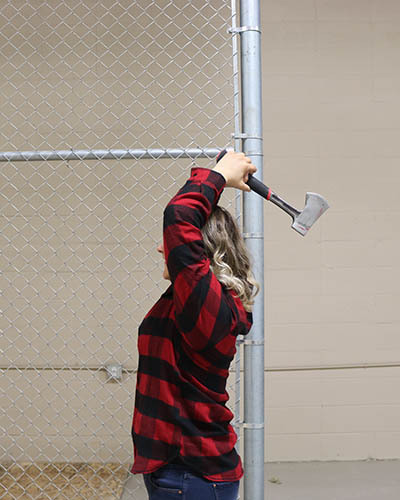 Hold the axe, blade side up and facing the target, centered with your body, with your arms fully extended. Leave an inch of room at the bottom of the axe shaft. Be sure you have a firm grip of the axe prior to throwing. 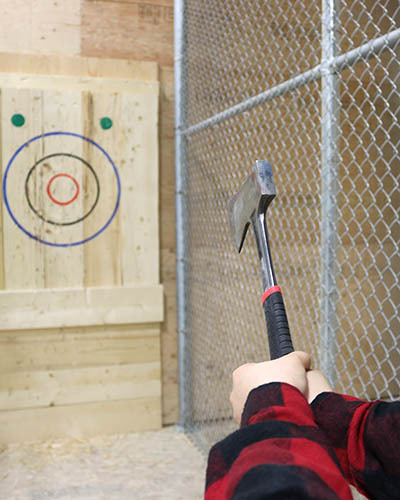 Hold the axe facing the target with arms fully extended and the axe centered with your body. Make sure the blade is straight and the top tip of the blade is lined up with the centre of the target. Bring the axe back up and over your head as far back as is comfortable for you without the axe touching your back. Lean back a little with this motion. 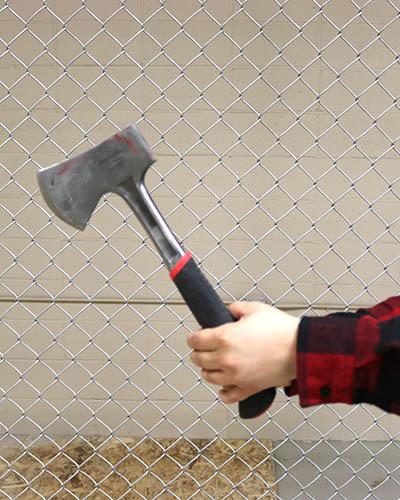 Bring the axe forward again in a fast, swift motion and release with your arms extended forward towards the target. Step forward into the throw a bit.